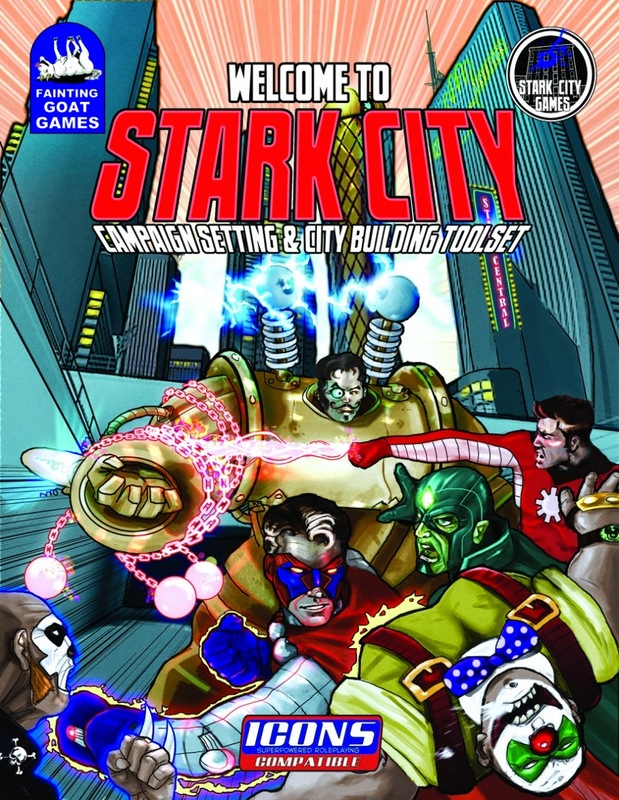 The campaign would focus in part on the implications of superpowers arising within genetic lines- rather than the classic democratic everyman image often in comic books. It echoes a little Mutants from X-Men, but takes a different approach. Here there's a more science-fiction acceptance and consideration of the consequences. The single campaign I ran with this began with the death of many, many superbeings-- both heroes and villains. This occurred in something called the “Zero Incident” (no exact reason given for the name but it had a proper weird sound to it). This left a power vacuum which the PC group could then fill. In particular they went to Chicago to set up. Previous to the Zero Incident, that city had been generally controlled by super-villains and heroes stayed away. This device worked well for the campaign, and could be easily adapted to other campaigns. Since this was run as a limited “issue” game, everything eventually tied back to explain why the incident had happened, but a GM could leave that more open-ended. Noble Causes and Runaways that gave me some ideas but at the time I hadn't actually read those. I built this as an eight session mini-campaign. I expect I will do more with it in the future. I asked the players to come up with generally likable characters; I'd run dark supers before but I planned for this to be more optimistic. Over the next few posts I’ll lay out some of the background, detail the various “Bloodlines” of the campaign setting, and finally wrap with some discussion about these “big” issues of the setting, what they meant, how I handled them, and if it’s worth exploring those ideas at the table. Deep into the War America launched a series of scientific projects design to aid in the war effort both at home and abroad. Many of these were speculative beyond belief, including one based around creating human augmentation, in effect creating super soldiers. No one, possibly even the projects originators expected the project to succeed. Yet from that came almost two dozen heroes armed with fantastic powers. Within months they were deployed into action both as effective propaganda tools and deadly weapons. However shortly after the German revealed their own project apparently paralleling that of the US. As the war ground on, both sides found themselves embroiled in a devastating battle between these titans. Still if was the force of the armed services and the men on the ground that saw the day through, taking Berlin and Tokyo. By the end of the war, every super had died, killed in battles that laid whole cities to waste.. In the both the US and Germany the creators of their respective projects took their own lives and destroyed their work, determined that such beings could not, would not be unleashed on the world. Somehow, it activated genetic potential hidden deep within humanity. Within the year the first natural occurring superhumans had begun to make their mark. However it became clear quickly that the Promethean gene was held only in a few bloodlines. Today scientists have determined eighteen genetic lines which possess the potential for superpowers. The spread of families across the globe during the early part of the 20th Century made tracking these lines a research project that took decades. Some of them seem to derive from a subject perhaps half a dozen generations back, meaning that the powers exist in a relatively tight spread. Others seem to have their Subject X, the one in whom the gene first occurs, in the far past, meaning that this genetic trait has spread more widely. These bloodlines have several factors which allow researchers to draw some inference about them. First, although bloodlines have a wide range of powers, some are more given to occur within a line. Second, the size of the population. Third the frequency of occurrence as well as the distance with which some of these can be traced. Scientists are still desperately trying to figure out how this genetic information is passed. Many believe that there may be many potential members of the group, but only a few who actually pass on the full traits and breeding potential. Fourth, artificial systems such as in vitro fertilization negate the passing of abilities. Fifth, if both parents exhibit powers, then their child will as well. If only one has abilities then the rate drops, dependent on the particular bloodline. As humanity takes its first tentative steps into the 21st Century, the superhumans are with them as well. Now with the third and fourth generation of these beings there are still many more questions yet to be resolved. Scientists today are still uncertain about many of the facts surrounding super powers. It is unclear how the bloodlines came into existence. Some believe that it dates back to an early civilization whose roots have been erased. Some suggest ancient astronauts. Others feel that the tampering was more recent, occurring in the early twentieth century. Some believe that the Wave caused the genetic changes. A fringe element believes that such abilities are natural to the human race, they point to a variety of historical evidence concerning supposed psychic or magical events. Scientists are divided and the genetic evidence is unclear. What is known is that each line has a “spread,” meaning the actual occurrence of powers within a line. Some are tightly clustered, meaning that close direct members tend to have powers. Some are more loosely spread, meaning that powers occur over a greater range of lineage. Why this happens is uncertain, many believe it is a natural factor of the super genes themselves. Among supers themselves, females tend to have stronger powers. The super gene cluster has thus far refused complete mapping. Some families are given to only a few low powered people, others to many. Some term these minor talents “Diasporas.” Some simply carry the potential, but have no powers. However, even non-powered bloodline persons may pass on the supergene. Accordingly there has been a rush to document genealogies by the government, corporations and private individuals. Since no one has developed a test to confirm the presence of the dormant gene in those among the Bloodlines without powers, this has become an issue of contention. In the handful of cases of cross-line breeding which have occurred, one line has taken dominance. However, the actual dominance of one line over another has no currently understood pattern. Today, we still do not understand what exactly allows such powers to work. Many, if not all, defy the limits of conventional physics. Yet, they still happen. One of the greatest obstacles to our further understanding of the issues involved is that much of the best research has been done under the auspices of the government or private corporations. These bodies have kept a close lid on such matters. Those who have performed public sector research have compiled a small body of often conflicting information, leading more to debate than discovery. Following the lead of many, many others, I put together a quick random NPC generator for our Neo Shinobi Vendetta campaign. It isn't perfect there, but it works. It uses a three trait structure- physical trait, character trait, and a profession. Many other generators have a more robust list, but this works decently (222 items per list). Below is a version of that outputted from the Excel sheet, with each item only appearing once. For excellent generators, check out Last Gasp (though I'm guessing most already know about that). The Year in Superhero RPGs 2013: Part Two The Mighty Six to Triumphant! We come to the last of my superhero rpg chronologies until next year. I’m still amazed at the variety of supers games out there. I never expected this many. I’m also struck by how many people feel a sense of dissatisfaction with the existing tools and turn to writing new superhero games. I would expect that with fantasy, but haven’t seen nearly the same level of creation/reinventing the wheel in Horror games, Westerns, or some of the other genres I’ve been looking at. I don’t know why that is- perhaps superhero games invoke more specific nostalgia. If players love a particular comic book, movie, or TV show and don’t get the same feeling at the table, maybe that drives them to make new art? It’s also worth looking at the expansion of superheroes in other forms of gaming over the last five years. In video games we’ve seen an explosion of striking and highly regarded licensed games. Batman gave us Arkham Asylum, Arkham City, Arkham Origins, Brave and the Bold, and LEGO Batman. No other DC character received as much attention, but we did see Injustice: Gods Among Us, DC Universe Online, Green Lantern: Rise of the Manhunters, Gotham City Imposters, and a Watchmen game. Marvel’s approach was a little more diffuse: Ultimate Alliance 2, Spider-Man: Shattered Dimensions, LEGO Marvel Heroes, Marvel Heroes 2015, Iron Man 2, and some Avengers games. Outside of the big two we got a handful of interesting properties, with the most striking being InFamous and InFamous 2. Prototype could also arguably be called a supers game. Sadly the best superhero game, City of Heroes closed down, though Champions Online continues. On the board game front we’ve also seen an embarrassment of riches since ‘09. Marvel’s Legendary remains my favorite deck-building game. The new Legendary: Villains nicely expands that. My friend Chris bought into the new Marvel Dice-Building game and I dig it. It feels like WizKids really got how dice-building games should work. I would buy into it if it weren’t collectible. On the DC side, Batman again leads the pack with the Batman: Gotham City Strategy Game, the Batman Miniatures game, Batman: Arkham City Escape, and even Lego Batman the Board Game. More broadly DC hasn’t done as well with the DC Comics Deck-Building Game being the most notable. Outside of mainline comics we’ve seen little in the way of interesting releases. Sentinels of the Multiverse seems to the dominant game. I enjoy it and it keeps generating expansions. 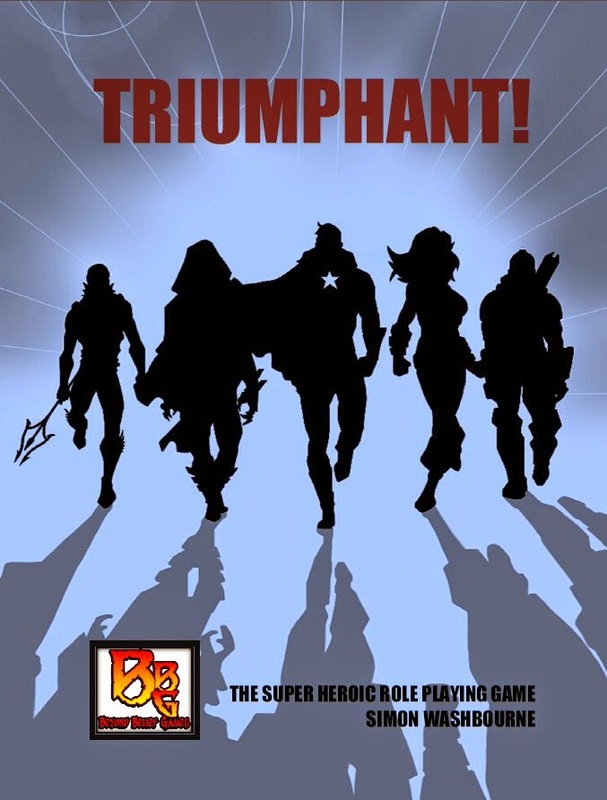 No other independent superhero-themed game even comes close to it in the BGG rankings. I gave up searching for another non-licensed superhero board game after six pages of listings. Of course HeroClix continues strong, with new sets and series appearing all the time. For superhero GMs, you can’t beat these for use as the table. I still remember the old V&V metal figures and being super excited by those in the early 1980’s. I never imagined we’d have access to so many costumes and sculpts in the future. This material is supported by a Patreon project I've established just for these lists. I hope you'll check that out and spread the word. If you've enjoyed the work so far, consider becoming a patron. There seem to be at least two versions of this released in 2013. A web release and then a slightly larger and more polished one, with striking cover art. 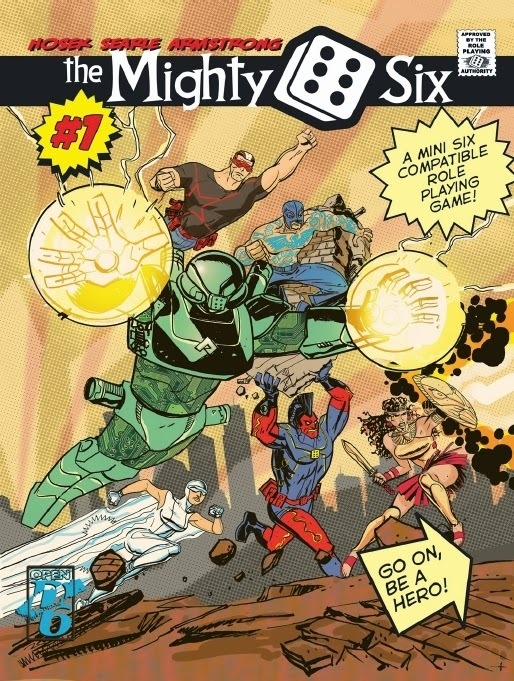 The Mighty Six runs on Mini Six, a variant of the Open d6 system. TM6 offers a complete system for running superheroes. Characters have four stats; skills; perks & complications; and of course powers. It uses a point-buy system to construct those powers- though most can be taken straight from the extensive list. While the basics look simple enough, The Mighty Six uses some odd terminology, at least in the preview edition. I calls things powerks instead of powers. I think that's intended to reflect the way in which the game simply makes these into heightened versions of the system's perks (aka feats, advantages, qualities). I love The Mighty Six's title and the cover suggests an interesting world. But this is primarily a generic supers game. It gives a simple adventure at the end and some sample characters, but there's little or no setting. 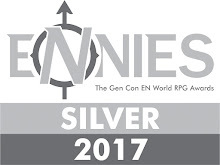 GMs looking for campaign ideas and background material may be disappointed. Fans of the d6 system may want to look at this new implementation of the mechanics. I've seen a number of superhero adaptations for Fate Core (and FAE) appear online. Those accessible mechanics encourage a number of approaches to powers- making them skills, stunts, or aspects. Fate Worlds, Volume One: Worlds on Fire includes several settings for the system, including "Wild Blue," a pseudo-Western set in a fantasy realm where the players are superpowered lawkeepers heading out onto the frontier to dispense justice and maintain the peace. It’s a brilliantly crazy little piece of work. DramaSystem also produced two anthologies of settings, some of which include superheroic elements. Hillfolk has a couple. "Mad Scientists Anonymous" hints at a world of superhumans, as these former masterminds try to overcome their addiction to villainy. "Henchmen" (based on a concept by yours truly) deals with the lives of witless minions. You can see another take on that concept here. Blood on the Snow offers one more. "Mutant City: HCIU" takes the setting of Mutant City Blues and converts it into a weekly dramatic show. We also saw a number of interesting pdf-only character books appear this year. ScottComics Character Roster Book presents the stats and background for a comic line I'd never heard of. You can check out what those series (such as "Our Super Mom") at the publisher's site here. It gives M&M 3e stats. The Delucci Family (M&M) is another M&M book, this time detailing a classic crime dynasty. It runs down a Mafia organization within the "Actions Have Consequences" setting. Basic Action Games released Comic Character Cavalcade #1 for BASH! As with the Icons supplement mentioned in Part One, this one's made up of fan-created characters. 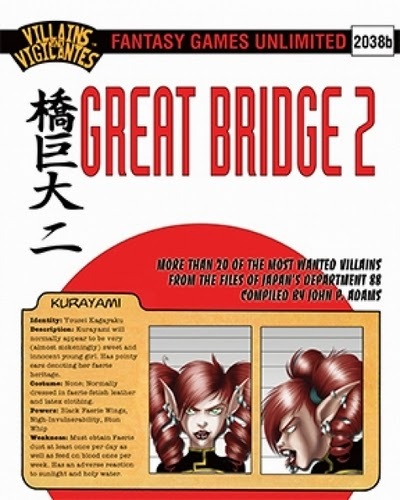 Great Bridge 2 is a second-volume of Japanese enemies for Villains & Vigilantes. We also saw the second system-generic volume of Evil, Inc. Sourcebook Vol. 2: Villains and More Villains come out. I usually avoid mentioning pdf series until they've been assembled, but the “Acts of Villainy” series is worth checking out. It has three distinct series covering solo, mastermind, and team villains for M&M 3e. Several companies established or expanded their superhero settings with pdf material. I can't cover everything released, but here are some which caught my eye. PRIME - Heroes of Galaxia presents a city-sized future city (ala LSH) but where everyone's memories have been erased (ala Big O). Department 88 is a companion to the V&V enemies book mentioned above. It covers the major Japanese law enforcement agency dealing with superbeings. That's a great campaign hook or background element. The Iron Gauntlet for Supers! includes new adversaries as well as rules expansions. It lays the groundwork for the world and sets the stage for a new series of supplements. World Watch presents an organization for the "Actions Have Consequences" setting. This details the characters and history of the World Watch team. Nova Roma is a city sourcebook for Heroes Wear Masks (a Pathfinder-based supers adaptation). Described as a "darkly absurdist superhero setting," it presents a more venal and corrupt background. Avalon has supported this with several supplements. fingerprints is a complete game focused on storytelling. This GM-less game aims to emulate "post-superhero" comics like Watchmen, The New Statesmen, and The Authority. Finally The Great Game supports cosmic-level games. I'd hoped this would be more a sourcebook and toolkit for running these campaigns. Instead it gives a fairly conventional set of adversaries, groups, and galactic factions. Written for Icons, it has good art and some ideas which raise above being just another character book. What would you have do if you had a super power? Would you use it to fight crime, or commit them? …Who would you tell? How would it change your life to have a super power? For me, this is the interesting part of the very idea of superheroes. They are reflections of ourselves that we wish we were. Ideal Images, now critically examined. I would argue that many of them no longer really be called 'superheroes'. The word "hero" suggests that there is an objective right and objective wrong. The hero is the one who stands on the side of Good against Evil. I prefer to see superheroes as people. People who for some reason have incredible powers. Forces beyond what you, I or any other mere mortal can handle. It is said that power corrupts, and absolute power corrupts absolutely. To some extent we are all broken people; we have our secret thoughts and urges, things we do not want anyone to know but that drives much of our behavior. Who do you know who you would trust enough to give them super powers? Who will not abuse them?This is what More than Human is all about. Not whether Superman can defeat the Hulk, but about people with super powers, and how they choose to use them. What would you do? Green Ronin continued to support and expand Mutants & Masterminds in 2013, though not at the same pace as the previous edition. 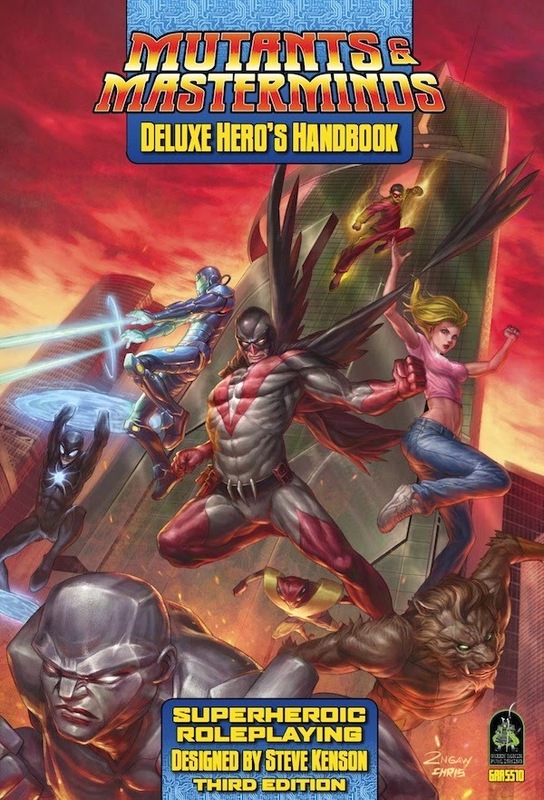 They released the Mutants and Masterminds Deluxe Heroes Handbook. This added 80+ pages to the original version, including a quick character generator, additional setting material, and sample adventures. I assume they also fixed errata. Green Ronin kept up the release of pdf material supporting the line. They published an assembled Power Profiles book. Unlike the earlier Ultimate Power book, this volume looks at classic power types (electrical, luck, weather) and considers how you can buy, present, and manipulate them. It reminds me a little of Hero Games' books like The Ultimate Martial Artist. I like the approach which helps players (and GMs) figure out how to model and play cool things. Surprisingly Green Ronin released no other printed material for the line in 2013. Some electronic material, such as the Emerald City guide saw release the following year. Some series, such as the Gadget Guides will clearly see an eventual collection, while I’m guessing others like the Wild Cards SCARE Sheet won’t. I mention this one because I'm glad to see companies releasing supplements for multiple systems. Peacekeepers can be purchased for Icons or for Savage Worlds. The book itself presents a sketchy campaign background. The world lies in ruins following the defeat of a massive alien invasion. Now the superheroes have to pick up the pieces and put things back together. It details the state of the world, significant factions, and key characters. Both versions also include some new optional rules for the system (wealth mechanics, new powers). It also includes random event generators, including one for 'out of costume' incidents. Peacekeepers feels a little like the start of a Savage Worlds plot point campaign, but not fully fleshed. It does include a couple of sample adventures. The publisher, Gramel, works primarily with Polish rpgs- so I assume this is translated. That's interesting and I'd like to see more products like that. Supers can be a little America-centric, even when a line produces international supplements. I'd like to see more perspectives. Here's an oddball game which mixes narrative challenges and board gaming. I didn't recognize it at first, but then I realized I'd seen it originally when it has been called Skulduggery. 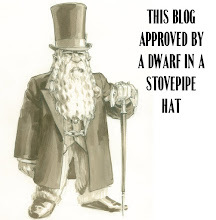 They changed the name in mid-Kickstarter at the request of Pelgrane (who publish Skulduggery). In Power Play players take the role of supervillains in competitive story-telling. Stories, locations, and events are constructed through traits and negotiation. The game includes trait cards which cover the basics (and seem ripe for expansion). The mechanics focus on putting elements together and making declarations about the world. These are resolved through a mix of voting and die-rolling, depending on the situation. The game's competitive in that each player establishes a secret objective, but generally the play is more narrative-oriented. So while it has some of the trappings of a board game or party game, it seems closer to Fiasco, The Extraordinary Adventures of Baron Munchausen, or The Committee for the Exploration of Mysteries. You can see a couple of quite solid and extensive reviews over at Board Game Geek here. 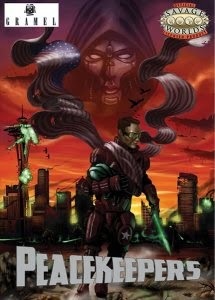 A complete supers rpg, Prowlers & Paragons sells itself as a "narration-driven, rules-light" game. I like to see companies putting their selling point forward like that. With so many options available, as a consumer I want to know what a new game actually brings to the table. Prowlers & Paragons’ narrative-focus comes from an explicit discussion of player input and improvisation. But it keeps the classic relation of GM to player. The introduction says "Both the players and the GM take turns narrating events in the game world." I assumed that meant a more formally structured shared narration (ala DramaSystem or Durance). But instead they’re more focused on players describing their actions and effects, with the GM giving them more leeway on that description. The game also suggests players narrate individual character scenes. These would likely be about the trials and tribulations of their characters’ lives. It doesn't dramatically shift the focus- as Capes or With Great Power does. But it’s nice to see these kinds of player-driven elements explicitly discussed in the game. Despite being light, P&P's resolution mechanics feel robust. Players roll d6s as a pool, with even numbers being successes and a 6 allowing a reroll. Players can opt to simply declare two dice as a single success to speed things along. As well the game provides a detailed list of super traits and perks. These can be modified by "Pros & Cons." The rules present these elements smartly. Where they're obvious and can be easily adjudicated the rules write ups are brief. Where there's more question or options (like Shrinking or Mind Control) the game isn't afraid to spend some time. While Prowlers & Paragons is a generic supers game, it does offer a sample adventure. That's useful as GMs can see the level of detail expected in planning. If this sounds interesting, the main pdf is only $5 right now or you can check out the Prowlers & Paragons Quickstart Issue for free. You can also find many free quickstart heroes posted. I should note that Lakeside Games included a printer-friendly version with the pdf. More companies need to do that. Zombie survival meets superheroes pretty much sums this up. Rotted Capes offers a stand-alone system and setting. 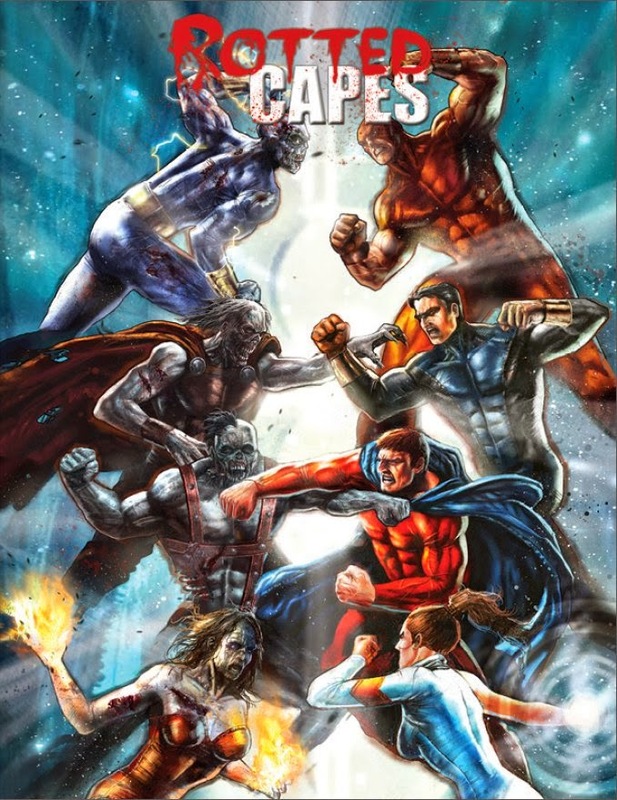 We've seen several versions of the zombies meet capes story (Marvel Zombies for example), but Rotted Capes seems closest to the ideas of Peter Clines' Ex-Heroes series. The game has some interesting concepts- a focus on scavenging and tension maintained by having the PCs be ‘B-List’ heroes. Rotted Capes' mechanics feel pretty straightforward. Characters begin by choosing a power source and an archetype. These modify the player point spends for attributes, skills, advantages, and powers. The game has a lot of calculations and exceptions (requirements for purchases, calculated stats, modifications from archetypes). The power list's a mix of specific and effect types. Combat uses an initiative clock for each character with different actions having different time costs. It isn't exactly the same as Scion, so I'd be curious if it has the same limitation. In Scion speed kills- simply put anything which reduces your action time cost makes you significantly more effective. I've read through Rotted Capes and I'm not sure how to judge it. It feels more complex than Mutants & Masterminds. I really need to watch or read about an actual play. The mechanics make up a little more than half of the core book, the rest covers the world, history, and GMing. Gamers looking at doing a superhero zombie game will find a wealth of ideas here. Beyond that it is a pretty awesome looking book- with gruesome and evocative art. When designer Simon Burley received word from Games Workshop that he should cease his republication of Golden Heroes as Squadron UK, he talked about new directions for his game. 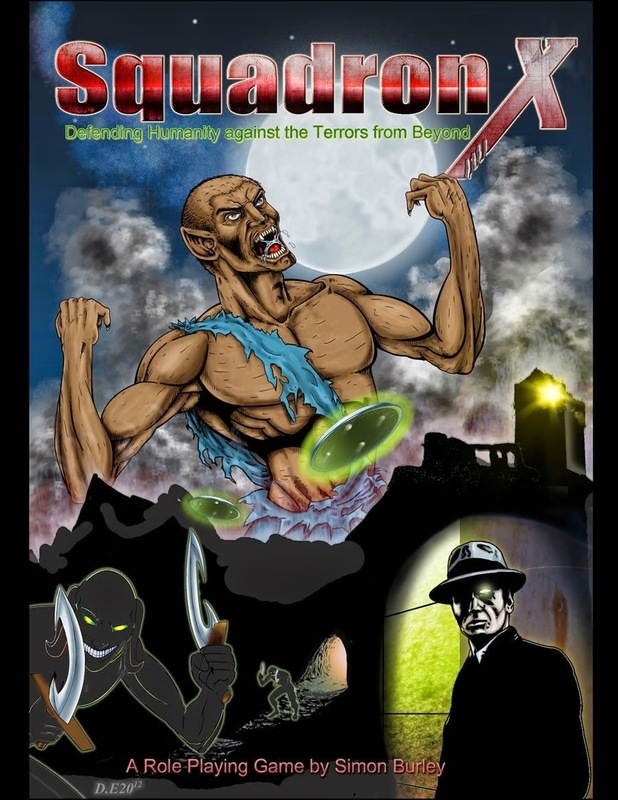 Eventually he retooled the system and released a new version of Squadron UK. But he also built an entirely new campaign frame called Squadron X. This takes a more supernatural approach to superheroes. Players are pulled into the battle against the forces of darkness and slowly gain in power. That darkness can be magical (werewolves, etc) or more alien (pod people, etc). It has an X-Files vibe or perhaps even Delta Green with metahumans. I like the idea of players developing their characters from co-opted innocents to potent agents. The book offers a complete system, compatible with Squadron UK. This year Burley released another complete supers rpg, The Comics Code. I haven't been able to check that out or see any reviews, so I'm not sure how it connects to Squadron UK. I've questioned the utility of superhero city books before. I love city books as resources for fantasy and sci-fi games, but given that most superhero campaigns visit only a single city, I always want to craft that myself. On the other hand some city sourcebooks lends themselves better than others for GM "theft" and repurposing. Stark City leans towards that for me. It has a lot of nice ideas, places, and details easy to break off and use elsewhere. Since it is written for Icons, the mechanical material's relatively thin. Instead it focuses on ideas, plots, and descriptions. In particular the discussion on how to build and managed an "iconic" setting is solid and useful. That being said, I wish there was more emphasis on the "city-building" toolset mentioned in the title. I'm also not a fan of the page background and framing. It really need a clean display version. Most of Stark City follows the standard citybook conventions: neighborhoods, places, and people. There are a few adventure outlines at the back. The publisher has supported this line quite well with Sentinels of Stark City and Defy the Prophecy coming out the same year. Jess Nevins has exploring fantastic fiction for many years. He assembled several volumes of annotations to The League of Extraordinary Gentlemen, The Encyclopedia of Fantastic & Victoriana, and The Encyclopedia of Golden Age Heroes. He's one of my inspirations in putting this list together. 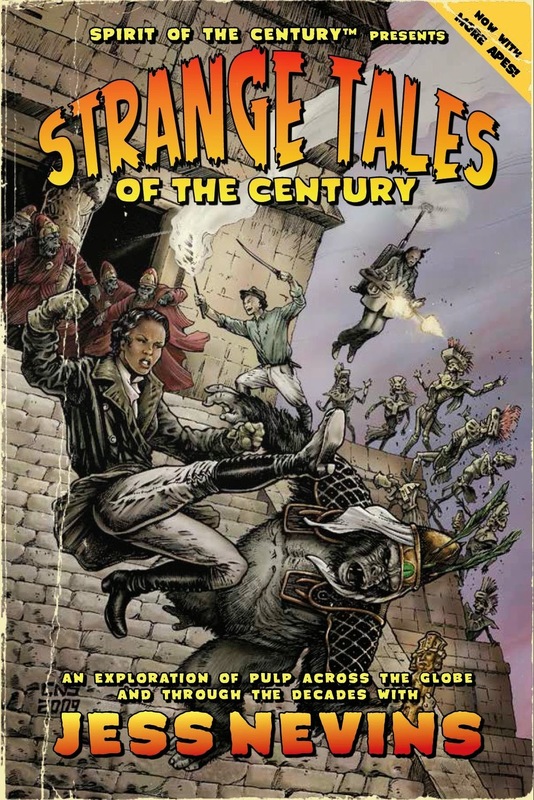 Strange Tales of the Century is a massive Fate Core supplement which is about one-quarter mechanics and three quarters pulp sourcebook. It manages to be at once stripped down and incredibly rich. There's a ton of background, but everything's presented in a way to make it easy to bring to the table. For example the extensive section on archetypes hints at new stories and deepens the history even as it suggests aspects and skills for the characters. A useful resource for Pulp gaming and fans of Fate. 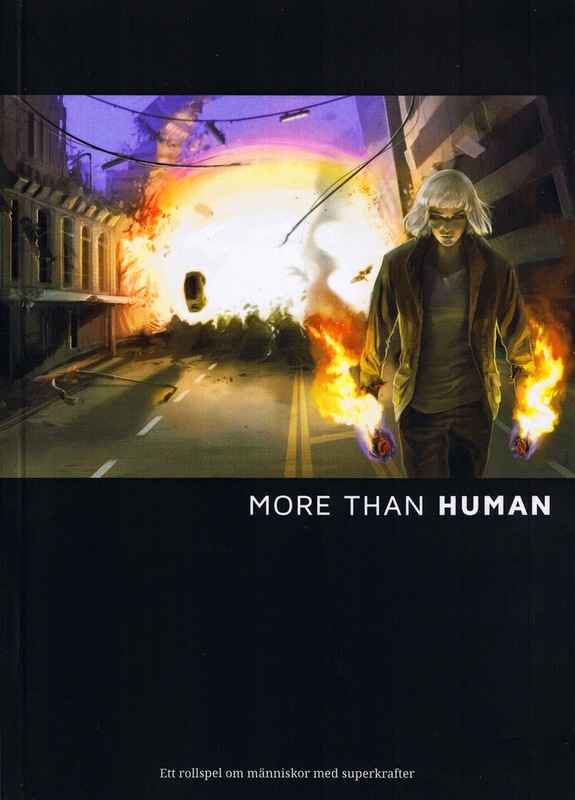 A complete free supers rpg, author Lee Walser has retooled the game extensively for each edition. 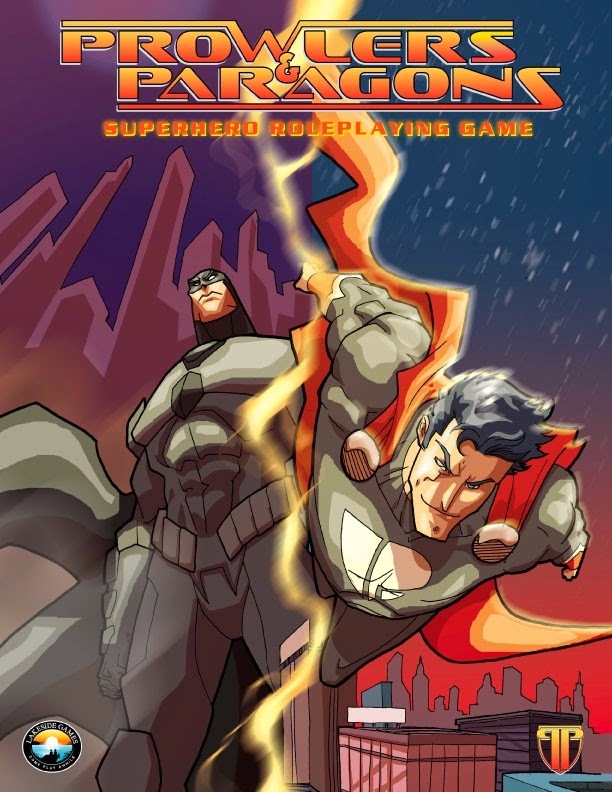 Super Crusaders offers a stand-alone supers game, without a specific universe. I've read through the rules a couple of times and I still don't get how things work. Character creation is loose- with players simply picking some powers. Character origin affects this, but only a little. There's a strange board-gamey feel to actions, with those broken into Arm, Eye, Leg, and Mind. The basic mechanic is a variable number of d6 rolled against a target number. SC does offer a powers list along with ideas on how to tailor them. It has a few interesting mechanics (certain powers can only be taken by NPCs), but overall I'm not sure what new it brings to the table. The art and graphic presentation undercut the game as well, with weak MS Paint-esque graphics combined with clip-art icons. I had heard that Super Crusaders had a strong religious element. That's true, but it isn't overwhelming. I do like that we get another perspective on the tropes. The designer dislikes/disputes the idea of superheroes as science-fiction. That's not a position I've seen taken up in other supers rpgs. His faith comes through in places, particularly in his discussion of heroic tropes and his own campaign world's history. In a couple of places it is fairly explicit, "The superhero genre is about the struggle between good and evil. It deals with the mysterious and miraculous in a symbolic way. Anyone who doesn't realize that superheroes are really about religion, just isn't paying attention." Your reaction may vary. A generic superhero system, intended as a toolkit for building a supers campaign. Triumphant! uses a die-step system; as traits and powers get stronger, you use a larger die type. Players can point build or roll for characters. The game aims for quick and easy resolution. Powers are described briefly. Overall it feels a little rough- like a draft version: odd layout and font, drop-in stock art, two full pages of key terms. It does include a brief setting write-up, Sovereign City. Designer Simon Washbourne also created the SUPERS! Comic Book Role Playing Game. Triumphant! feels more like a set of beta-rules. I'll be curious to see what a second and more developed edition look like. Concepts from an Exalted Threshold City. You can find the background here. For protection and justice, the Bane and the Thorn, hold sway over their respective quarters in Crux. Hasien Feng, the Bane of the Day Quarter, serves as the primary judge and arbiter for all criminal cases. Under him, he has a staff, called Nettles, made up of clerks, scholars and sub-judges who assess the merits of cases, record details and recommend punishments. Feng himself holds court over only a few cases, but can shape the results by assigning particular Nettles depending on their skill and philosophy. However, before cases ever reach the Bane they have usually gone through the careful hands of the Thorn, Varya Jestkind, and the Day Quarter Watch. Technically called Thistles, no one in their right mind uses this term anywhere within earshot. The Watch of the Day Quarter can be distinguished by their white- or for nights, gray arm badges. Jestkind splits her men into six stations for the sections of the Day Quarter: Apex (the southern wealthiest section), The Tilt (the bazaar and associated areas at the center of the quarter), Tidesent (the Docks at the North), Lantern Courts (the public and entertainment areas in the east), Numina Gate (the western section encompassing the schools, administrative buildings and sites of other higher matters), and the Changers. Walk (the northern area just outside of Tidesent). Each of these districts has various substations each lit with a green lamp. Other members of the Watch may possess or use such lighting; the Watch punishes violators quite messily. Jestkind comes from a long lines of patricians, some of whom married into House Nellens several generations ago. Her particular branch benefited less from this arrangement but remains known well within Crux and the surrounding lands. In her early thirties, she trained from early youth with a remarkable aptitude for swordplay. There was some talk of her taking a place as an instructor or perhaps consort-bodyguard to a ranking noble. Her family expended great effort polishing both her martial and social skills only to discover her fatal weakness, her inability to still her tongue. Unable to resist a jibe, sarcastic comment or joke at another’s expense, it became clear that she would not do well in a public capacity. Instead, her father purchased her an obscure commission at the back of the Nettles of Crux where she would earn a steady income and copy records over. This she did for only a few months before being released from service for a particularly cutting remark about the frayed hem on the official robes of the newly place Bane, Hasien Feng. Jestkind turned to the places of swordplay in the city, attempting to secure some kind of position as a tutor. Instead her swordwork and sharp tongue were spotted by the then Thorn, Piercing Heart. He took her into the Watch and advanced her based on her ability to irritate anyone, to follow that up with expert dueling and, some have said, her ability to manipulate the Thorn’s affections. When he retired two years ago, the Magister of the City surprised everyone by appointing Jestkind as the new Thorn. Some suggest a relationship between the two, but that is gossip. Varya keeps a tight rein on Day Quarter and her guards deal with things quickly. Professionalism is stressed, but the motto of the Day Watch is ‘silt flows downstream.’ Therefore many problem persons end up being tossed down into the Dusk Quarter.some more gently than others. Glain Kolath Bloom, the Thorn of Dusk Quarter, has become increasingly irritated with this practice as he has to figuratively and literally (a fall is inevitably fatal) clean up these problems. Of the Great Houses, two lack definitive representation or influence in Cascading Flowers: Ragara and Mnemon (Iselsi as well, but that goes without saying). The former’s absence is due to alliances elsewhere in the region and the later’s from certain conflicts over the permissions given to spirits here. Some Houses possess more influence than others here, for example, Cathak has a presence and some notables here, their effect remains small. House V'Neef, the youngest of the Houses, has been attempting to assert connection and control here for some time. Holding the monopolies on wine in the Blessed Isle, they look at the production of alcohols here as an opportunity. Were they to apply themselves, especially in light of recent events in Cascading Flowers, they might be able to shift the balance in the Satrapy and seize authority from Nellens. However, their greatest weakness lies in the person who commands the branch present in the kingdom, V’Neef Arstrius. While V’Neef was only recognized as a Great House some thirty years ago by the Scarlet Empress, there were Dragon Blooded Exalts among the line for longer than that. Arstrius is said to have been born some two hundred and fifty years ago, in the earliest stages of the family’s growth to power; as was common with that time his Patrician family lent him to Cathak who sponsored him. Drawing in his Fire aspect, he trained the House of Bells, obtained a military commission and fought in successive campaigns including the struggle against the Anathema Jochim and the Ragara Widows Uprising. Though he acquitted himself well, he remains least on his family for uncertain reasons. His first marriage dissolved without issue and shortly after the Widows Uprising, he left House Cathak for the Threshold. Little is known of his time there, but it is clear that he traveled heavily throughout the South. Certain merchant reports place him in Gem, the Lap and the Varang City States over many years. One story that he has apparently told is of his travels to the furthest south, where the edge of the Pole of Fire can be seen. He spoke of ancient fallen cities, from the time or the Shogun and before, buried in rocks and sands. Barbarian peoples, adapted to the harshness of the land who possession something of the blood of the Gods and the Fae of Fire. There, in these ancient ruins they live and conduct wars among themselves according to ancient rules and codes. Rumor has it that he fought there among them, even taking brides among the various tribes. All that is sure is that when he finally returned to the Blessed Isle, not long after the elevation of V’Neef, he was tall, lean and as red as the eldest of the Fire Aspects. His seniority became a point of contention for a short time, some feeling he belonged more to Cathak. However, V’Neef Aliset, matriarch of the line, accepted him and offered him a role. He declined, instead asking to be granted a place and authority in the Threshold. Thus he came to Crux. Since then he has managed the House of the V'Neef here, mostly keeping to his own devices. Other members of the family are apparently welcomed here, but they have had no success in swaying him to step into the political arena. This may come to cause him problems in the future. He leaves from time to time, occasionally accompanying caravans who venture to the far South. He is a tall Dragon Blooded, but less imposed through his thinness. His skin has gone almost red-black. Those who do know him keep close on their description of his manners and his habits, but with work that might be overcome. While the great crafts and devices of Lookshy. drawn from the legacies of the First Age and the Shogunate, have captured the imagination of many, lesser devices and creations have often been forgotten. There are those who create significant devices, sometimes powered by the flows of essence but often not. Crux and Cascading Flowers in general have drawn on these talents over the last several decades: designing irrigation systems, improving elevator systems, repairing systems left from the elder days. Accordingly a number of highly skill craftmasons make their home in Crux, versed in ancient lore, craft skills and a dash of Thaumaturgy. Those more reliant on magical skills tend to fall in with one of the two great sorcerers. Vornaas of the Writ is an exception to this. He is a crafter who focuses on the development and refinement of existing mechanical and hydraulic systems. On occasion he has worked with the power of manses to aid in his work, but this is rare. He has a small shop where he keeps a number of apprentices. He is Guild marked, though he came late into the organization. Given that his work fell outside of the normal classifications, they were unsure how to place or certify him. However after he reengineered the Gate of Tri-Born Mists at Blossoming Pearl, they welcomed him more intently. Vornaas is a modest man, avoiding ostentation, but until a few years ago was on friendly terms with a number of the Dragon Blooded in the region, most who had be his patron at one time or another. However, he eliminated that practice two summers ago, sequestering himself in his workshop and avoiding social contact, not just with clients but in general. The circumstances behind this transformation remain unknown. Originally a painter house of some wonder but has become more conventional. On occasion a new artist emerges from here of note. They are noted for two techniques. The first is the careful creation of frames, cunningly crafted to match their paintings. They are especially known for their triptychs. They also work with heavier paints than the other artist families, using materials that are nearly oils and building up textures. Their traditional rival is family Akias, a feud that has spilled over from canvas onto the streets. As the fortune of one has risen the other has fallen and a number of the leaders of this family believe that they will only be secure when the last Akias is dead. Crux stands as one of the Hub cities for Guild operations in the South, though not the largest of them. Fleets and caravans start out from here, heading to richer ports or overland to places where rare and unusual goods can be found. Being a Hub city is an important honor as it draws wealth and goods to the region. However, because of restrictions on certain Guild trades and influence within Cascading Flowers, there has been talk in recent years of shifting the Hub to another nearby city. In particular, the independence of and demands of the Loaders and Handlers of Crux have caused problems. As with a number of other fields, the Guild is restricted from controlling more than half of members of these groups. Work must be divided out, meaning that the Guild cannot exclusively rely on their own people. Attempts have been made to undercut these restrictions, such as working through shadow groups to exert influence, but these have only been partially successful. There has been some talk of exerting more direct influence by the Guild Council here. With the absence of the Scarlet Empress and the disorder among the satrapies, they might have a better chance than in years past. The Guild Council of Crux may move to do this, especially given the recent petitions by Guild members in Carta Mallus, where the harbor at Demdalis has been recently expanded. Still, Crux and Cascading Flowers enjoy some advantages that others do not. The Majestic Iron Road and the Golden Floret River provide excellent access for caravans throughout the region, heading to surrounding satrapies and even further to the strange lands of the deep south or distant sites such as Gem and the Lap. Overland caravans gather at a site a half-mile to the east of Crux known as Waymark. A tent city has grown up here, serving the various needs of caravans arriving or about to disembark. Though the Majestic Iron Road is kept in fine spiritual order by masters along its path, a variety of ritual specialists and consultants can be found in the Circle of Belongings in Waymark. Here a caravan master can consult to see which spirits and little gods might be encountered along their way and what the proper method of appeasing them would be. Often the caravan hires such specialist to travel with them for consultation and to intercede with the spirits. Mercenaries, camp followers, tradesmen, ostlers and a host of others make their living in Waymark. Most are transient, heading from one caravan hub to the next. The city officials of Crux discourage people from setting up shop permanently in Waymark; the best known fixtures of the place stay for a few days and then travel back to Crux to their actual homes. When news of a new caravan, arriving or departing, comes in Waymark expands. When there is none to be had, people fend for their living in Crux. Few people create such a palpable send of dread before them than Withering Leaves, one of the two highest Tax officials in the Cascading Flowers Kingdoms. The other, Syndic Weld, a patrician, looks to the interests of the satrapy and has the advantage of receiving his money for the top levels of this. Withering Leaves and his men must make their way through the trenches taking in every jade talent, obol and shekel. Withering Leaves has final say in all matters of taxation, only subject to a veto from the Son of Wreaths himself. He wields this power mercilessly, working his way up the food chain using one evader to catch another. Withering Leaves is known for his outlandish plots to catch tax dodgers: intricate disguises, long term sting operations, trained monkeys, and seductive traps. He usually leaps out at the end of these, evidence in hand with a resounding laugh that inspires and equal amount of fear and dismay. Needless to say, he is not beloved, except by his carefully chosen associates who receive special dispensation on their duties. Each year Withering Leaves survives several assassination attempts. Some say that he looks forward to the challenges presented by the quarterly assessments and attempts on his life. Not a skilled swordsman nor sorcerer, Withering Leaves seems to survive through a mixture of cruel cunning and uncanny luck. His aides, however, are not sometimes as fortunate. Therefore, he is constantly churning through those who die, those who quit and those who transfer to be away from his overwhelming near insanity. Withering Leaves has survived in this position longer than any other High Collector in recent memory: nine years. He is wealthy, corruptible only in the service of further collections of taxes and spry for his fifty plus years. Master Artisan and head of a number of practical orders, including the woodwrights, wheelmakers, and other such matters. He is an Outcaste Dragon Blooded, something which has made him suspect with the Guild. However, his avoidance of conflict and focus on his craft and the craft of those under his watch have made him popular. He is said to be able to take up any art he wishes and take it to a master level. Recently his close friend and fellow Council member Sestain Fields-of-Holly competed in a challenge of stonecrafts. Source suggest that Zanoc lost deliberately so as not to cause Sestain to lose face with his artisans.